Rome is one of those cities you can visit over and over again, walk miles, and still feel you have only just scratched the surface. 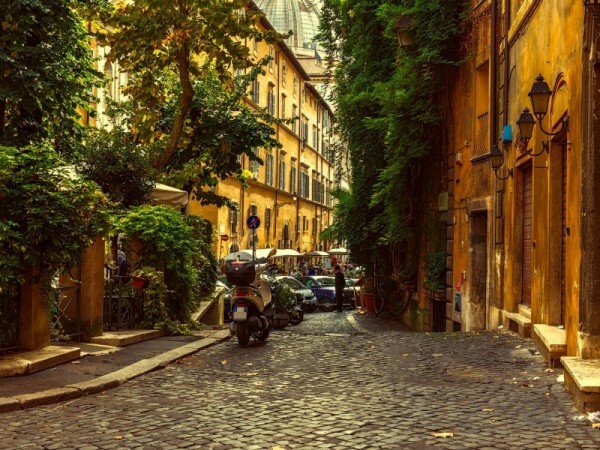 The streets are steeped with evidence of the city’s long and, often turbulent, history at every turn, making Rome one of the most rewarding cities to explore by simply getting out and walking everywhere. Definitely one of our favourite city destinations, all our apartments here are centrally located, offering plenty of opportunities to discover both the tourist sights, and also culinary and other delights of your own local neighbourhood. On our last visit, very much with the culinary experience in mind, we decided to look into food orientated options, including visits to food markets, and also cookery lessons, with a Roman flavour. 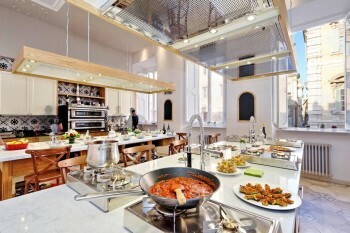 As a result, we discovered the wonderful In Rome Cooking School, located in a unique venue, just off the Piazza Navona. Situated in what was originally a Cardinal’s apartment, dating from the 17th century, complete with hand-painted frescoed ceilings, it has been sympathetically renovated to house all the modern conveniences associated with a professional kitchen. The two English speaking Italian chefs here hold a variety of cooking classes, ranging from groups to private classes, and from pizza and pasta making to gelato and tiramisu classes. 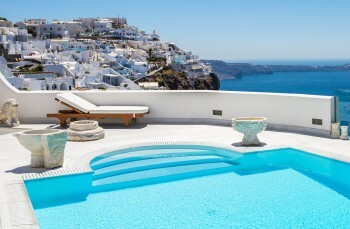 They will also do special children’s classes, and even family cooking classes, if all the family want to get involved. 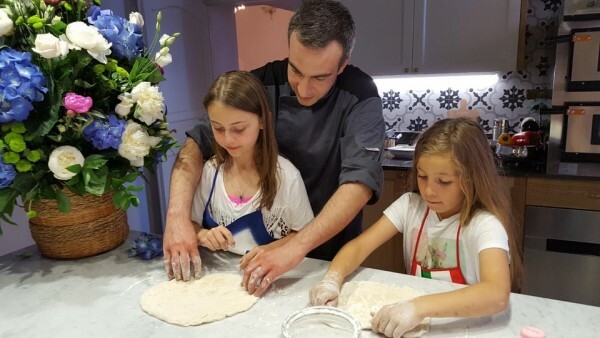 Their pizza making and gelato classis always a great success with children. 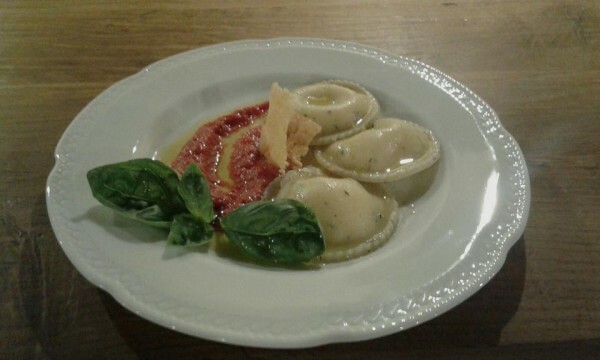 A particularly appealing option for us was the choice of gastronomic tours of the city’s markets and speciality food shops, accompanied by the chef, then preparing a classic 3-course Italian dinner (pasta, main course and vegetable side dish, and a dessert) back at the school. More recently, a couple of new and very popular market experiences have been added to the school’s portfolio. The first is a visit to the lively neighbourhood of Testaccio, often missed by tourists, but known by locals as the bastion of Roman culinary history. 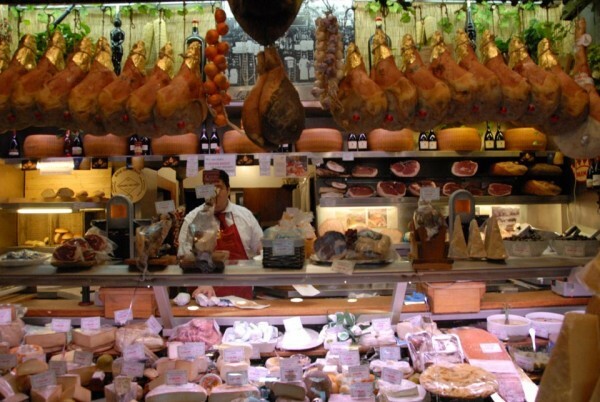 Participants will discover arguably the best food markets in Rome with a local guide, and have the opportunity to sample classic Roman dishes, such as Cacio al Pepe and Pollo alla Romana. The second tour is the Rome for Foodies with Pasta Making, which takes guests to the Campo de’ Fiori market for some tastings. In a historic bakery you will see how the Roman pizza speciality, Taglio al Forno, is made, as well as sample suppli (fried rice balls with mozzarella cheese, similar to Sicily’s arancini), and also enjoy salami and cheese tastings. This is followed by a pasta-making class back at the school, followed by a wonderful pasta lunch. True to Italian hospitality, you will receive a very friendly welcome on arrival at your class, with a glass of prosecco and some antipasti and, whichever class or tour you choose, we don’t think you will be disappointed! The school has also recently bought a new restaurant just around the corner from the school, Ristorante Caravaggio, which visitors to Rome might also like to try – particularly during the summer months as it has two lovely terraces, one overlooking Piazza Navona. The chef, Raffaele Apreda, has created a fabulous menu inspired by the fish of the Mediterannean and Roman specialities. 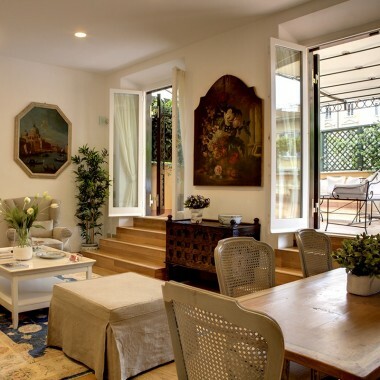 A bright and elegant apartment in a charming and historical building,equidistant between the Tiber River and the Piazza Navona. 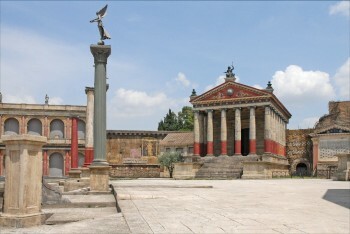 It is also within an easy walk of the Pantheon, the Spanish Steps and Piazza del Popolo. 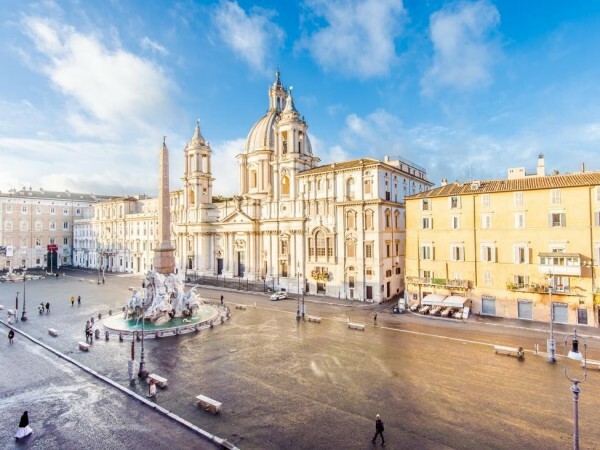 A luxurious and spacious apartment, on the second floor of a Palazzo, and with wonderful views over the Piazza Navona.